Even more ghost writing this week. 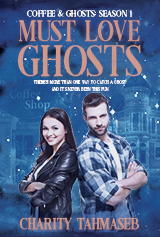 I’m closing in on the end of Gone Ghost, and I have story notions for the last story or two (or maybe it’s one long story that I break off at a cliffhanger–I haven’t decided yet). One thing I know I’m not going to do again: Add in another class at the end of the school year. Things are always busy (and I always forget that). Also? I’m totally in summer mode, and that includes classwork–no matter how much I enjoy it. No submissions or anything else this week. I am all about finishing the classes and the ghost stories at the moment. And summer. I am all about summer, too.